Net Traveller: Will the NEG transform Australia's energy landscape? Greetings from the Australian National University in Canberra, where a panel is speaking on "Will the NEG transform Australia's energy landscape?". 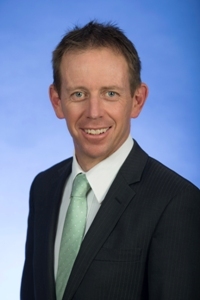 First up is Mr Shane Rattenbury, ACT Minister for Climate Change and Sustainability. Minister Rattenbury was one of the recipients of a letter today, from 23 energy researchers: "Call for Full Release of National Energy Guarantee Modelling". He pointed out that the National Energy Guarantee (NEG) will not reduce emissions significantly more than "business as usual". Also there will be a considerable number of coal plants reaching their design life just after 2030, requiring to be replaced. Also to speak are Professor Frank Jotzo (Crawford School of Public Policy, ANU), Dr Hugh Saddler (energy consultant) and Ms Katharine Murphy (Political Editor, Guardian Australia). ps: Professor Jotzo and Dr Saddler agreed that the NEG was not a lot better than "business as usual". Katharine Murphy, looking at the political aspects, suggested the NEG could be useful, not because it achieves any fundamental reform, but primes the political process for something more ambitious.